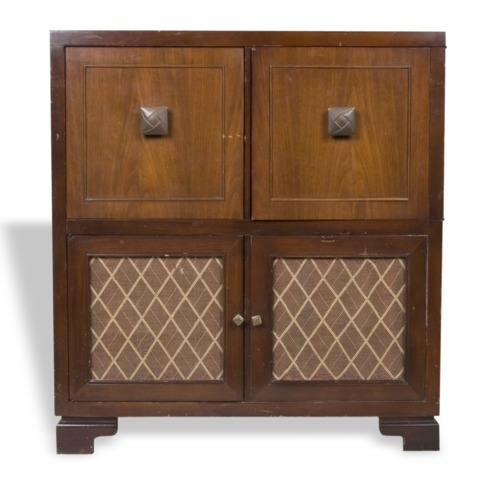 Short, compact walnut cabinet containing a television, radio, and record player. This console was purchased in 1949 by Frank and Minnie Rosser of Delia, Kansas. They purchased the system in St. Marys, Kansas, during the TV boom that occurred between 1948 and 1949. It was the first TV in Delia. The couple's daughter liked to use the record player and watched several children's programs on it, including "Captain Kangaroo" and "Howdy Doody." An Admiral advertisement from 1949 listed the price of the console as $399.95.